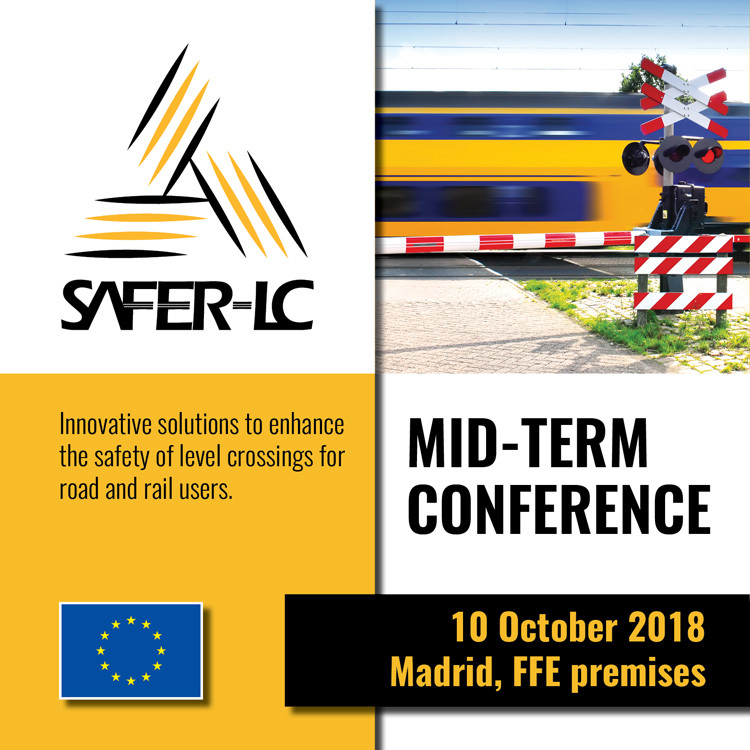 The SAFER-LC Mid-term conference will be organised on 10 October 2018 to present the first results of the project on innovative solutions to better protect Level crossing. This one day conference will be the opportunity to exchange with the participants on the results already achieved and the next steps of the project. The audience will include rail and road infrastructure managers and operators, Safety authorities, Level crossing users, C-ITS providers, Standardisation bodies, Policy makers and researchers. For further information, consult the website at www.safer-lc.eu or the event page.